Orthopaedic braces are the most important during the treatment of knee injury. Running, turning, stop and starting again are all a part of our daily life activities. This is the reason why orthopaedic braces make much difference in preventing knee injury and it will be no coincidence that it helps in recovering from injuries. These days, people from all over the world are using this for their advantage. Using a knee brace will definitely reduce the pain of arthritis and will also increase the stability of your legs. There are different kinds of braces available in the market. Generally, the braces that provide better support are heavier. Normally, you are advised to use the braces while doing an activity and you need to remove them when sitting or sleeping. Given below are the different types of orthopaedic braces that you can choose from. Elastic sleeve orthopaedic brace: This is a simple brace with an elastic sleeve that you can pull up easily on your knees. It is usually available in two varieties, one with a hole in the knee cap and one without. The elastic brace will help you in reducing the symptoms of arthritis. This is done with the help of increase alertness in the knee-joint movement. The constant stimuli of your brace will also help in reducing the pain sensitivity in the knee and surrounding areas. If you are feeling the stress of your knee cap, then you can use the taping technique to reduce the stress. But before wearing these braces, you need to consult with your physicians and if they prescribe you to use these orthopaedic braces then you can buy them from online. Hinged orthopedic cage brace: This next type is different from the basic model and incorporates the use of joint and struts on the sides of the orthopaedic brace. You can adjust this support easily on your knee as there are Velcro straps given for loosening or tightening. This brace is heavy and provides better support than a normal brace. You can use this brace for any physical activity to reduce the chance of injury. These braces can be worn below loose pants. This brace is helpful for people suffering with ligament instability. You must never the brace too tight otherwise there will be great pressure on your knee beside the hinge joint. Orthopedic unloader brace: Sometimes your arthritis is so bad that the knee often takes the form of a bow leg or a deformed knock knee. These kinds of situations call for a customized orthopaedic brace that is known as an unloader. 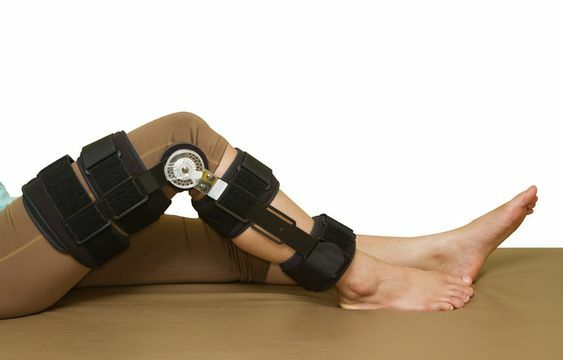 This kind of brace is utilized to realign the knee. The constant use of this brace will reduce the stress on the part of the knee worst affected with arthritis. There will also be less pain in that area and improved activity. These brace works efficiently only when the knee is not fixed in the angulated position. A hinged brace must be bought after a suggestion from an orthopedic. There are lots of unloader braces available in the market with just a little custom adjustment required for each patient. But some unloader braces are also customized right from scratch. In the end, one can only say that orthopaedic braces are not just meant for patients they can also be used for high-level physical activities. If you have a medical insurance then you can check the benefits before buying a knee brace as some plans provide a portion or entire cost of the brace. Today, you can find these orthopaedic braces online and you can easily buy them at a discounted price. Previous : 10 fantastic ways to make your fitness routine more fun!